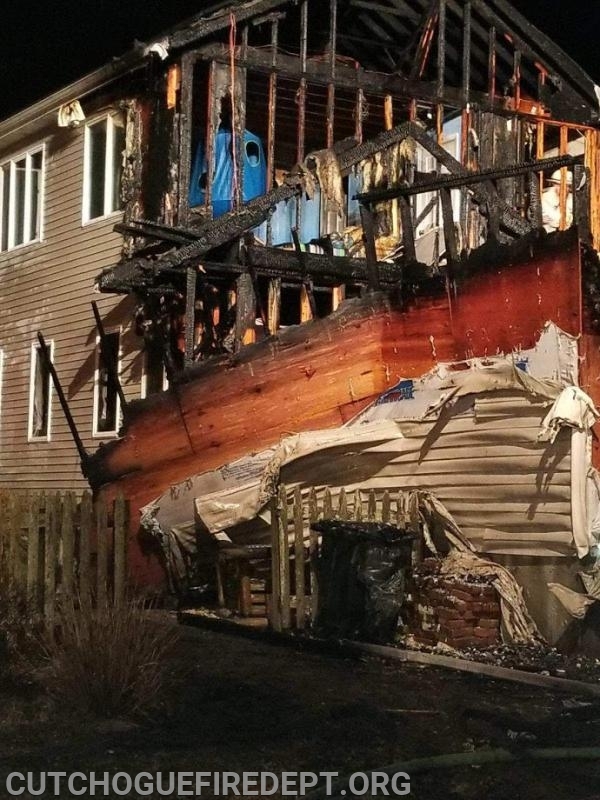 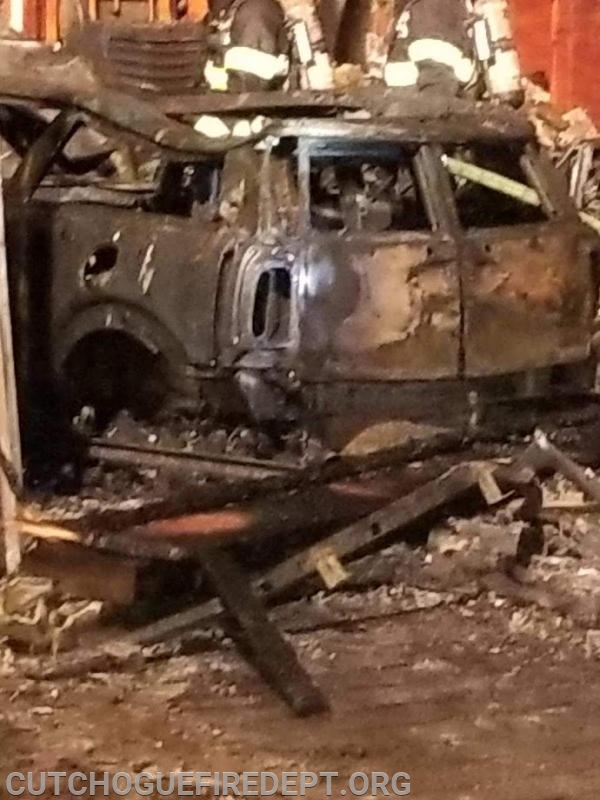 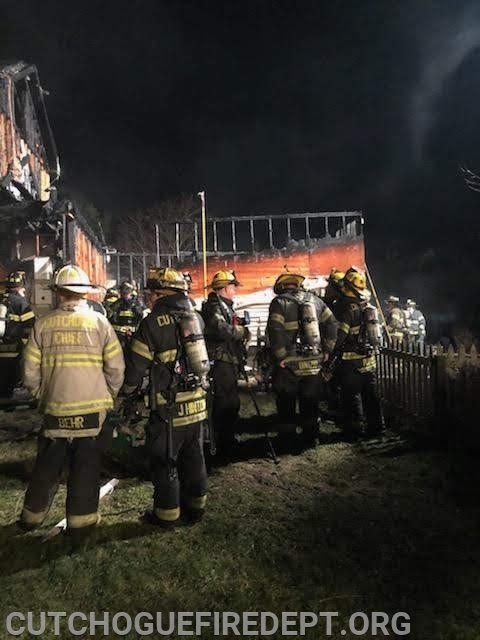 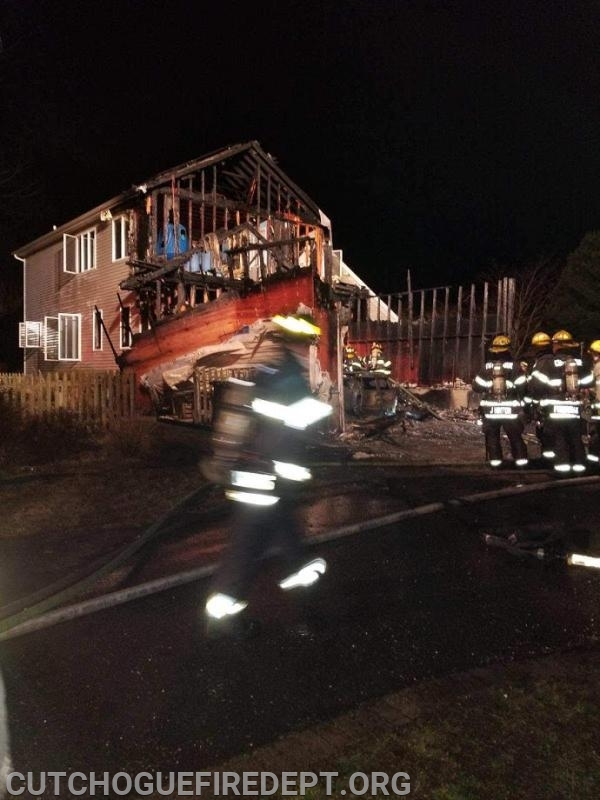 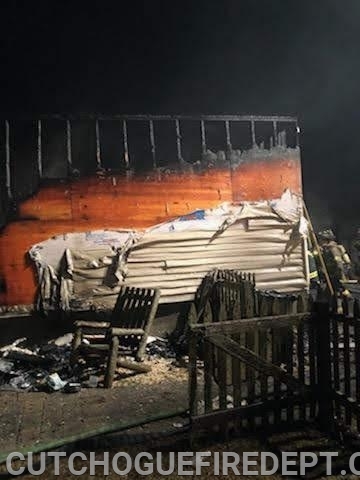 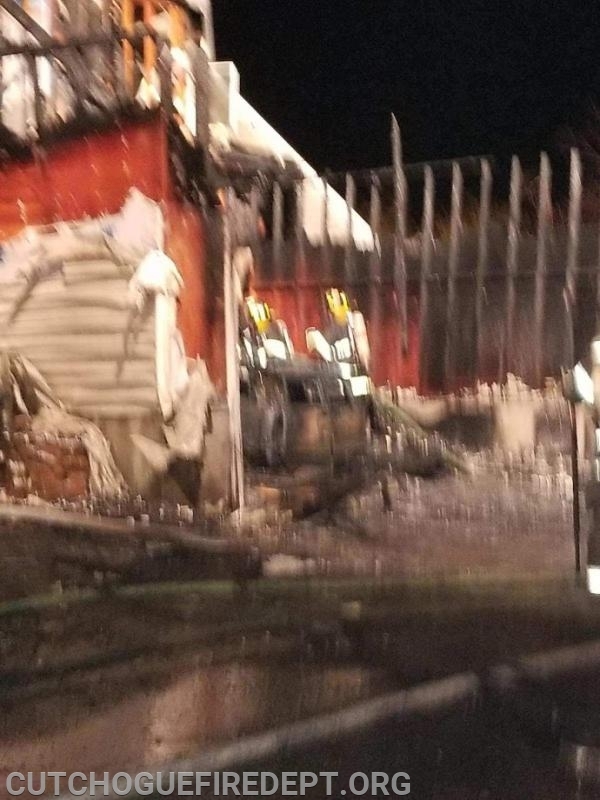 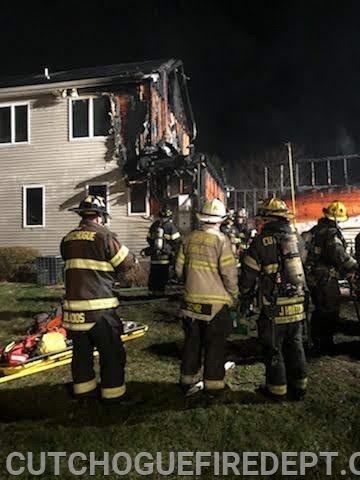 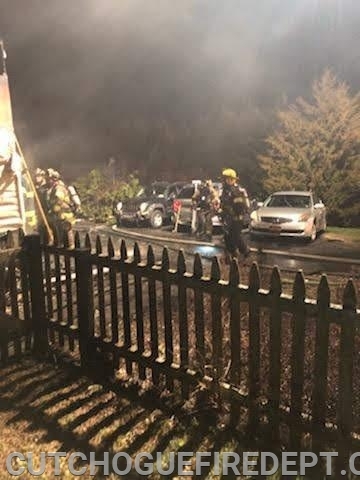 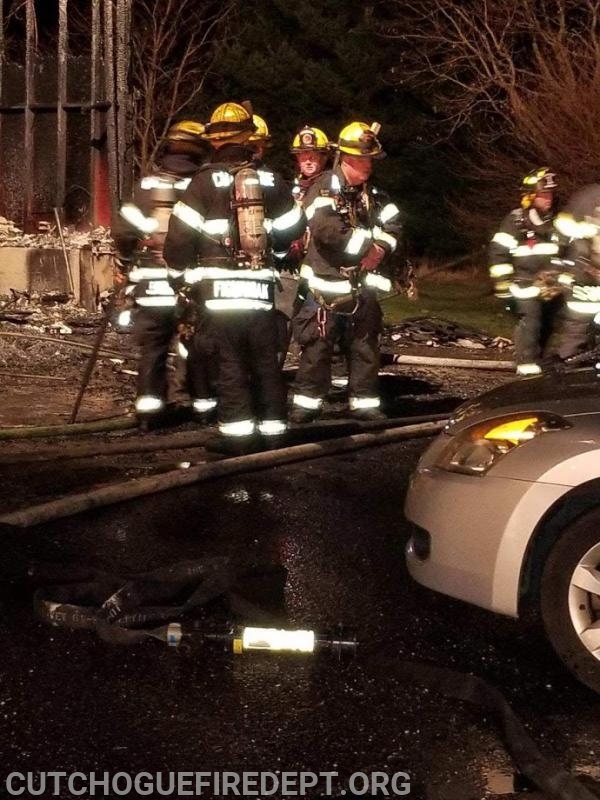 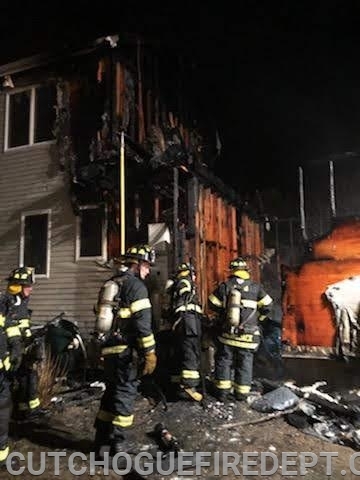 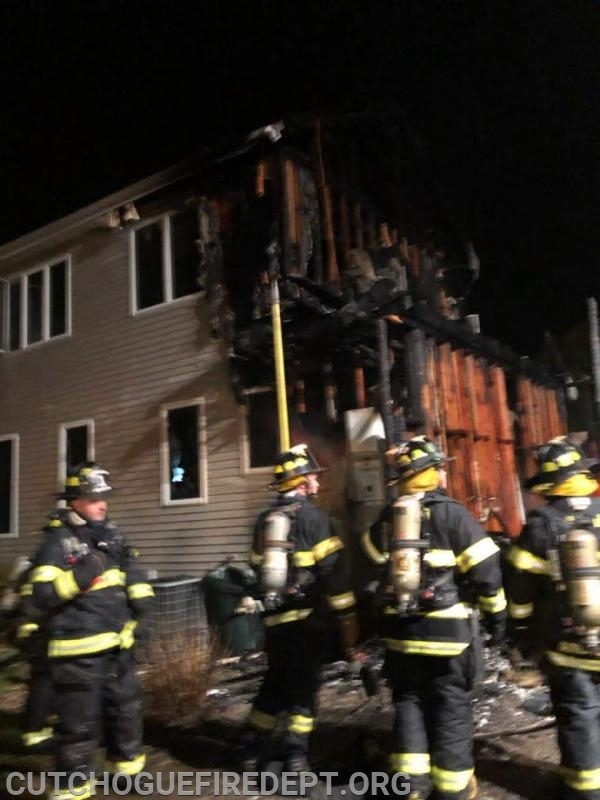 On Tuesday evening, just after 7:00 pm, the Jamesport Fire Department was called to a house fire on the Pier Avenue in Jamesport. 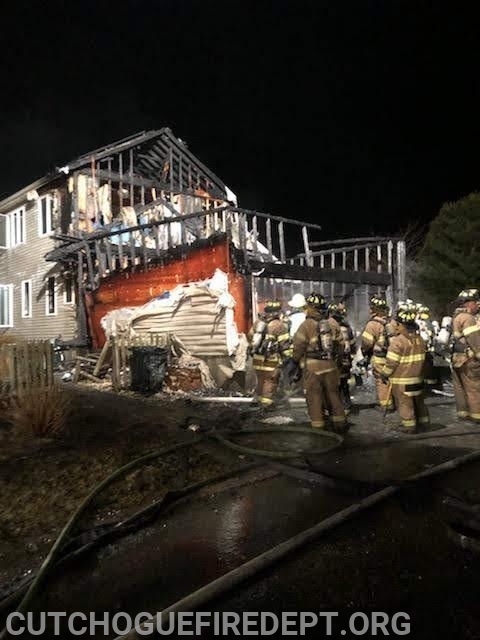 First arriving units were encountered with heavy fire and requested assistance from neighboring Departments. 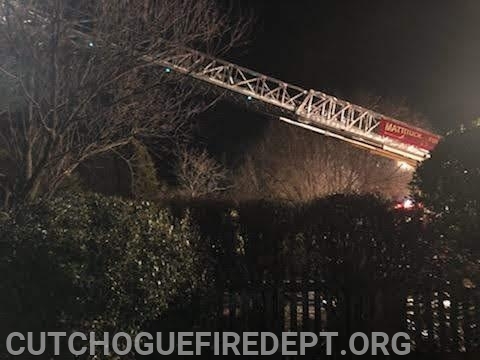 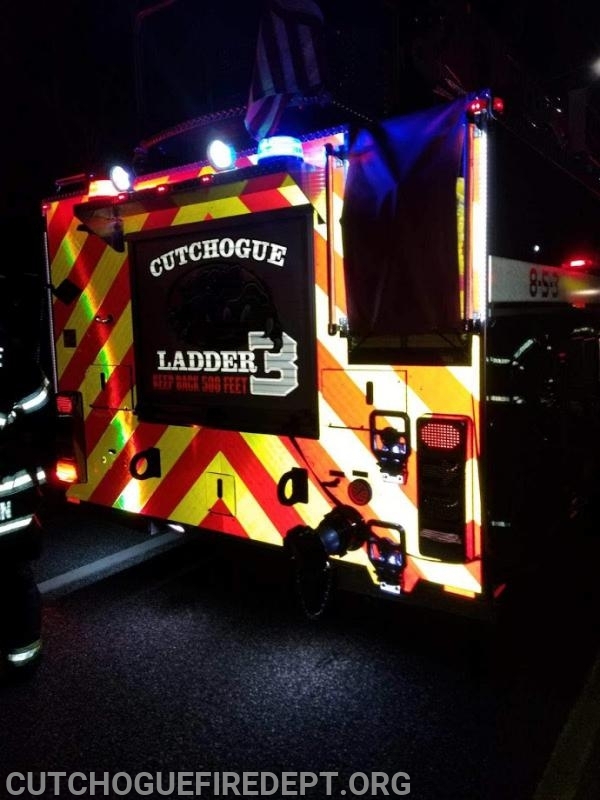 As the incident progressed the Cutchogue Fire Department was requested to respond to the scene with a Rapid Intervention Team, to stand by in the event of any firefighter emergencies..
Quint 8-5-3 made the response, and once on scene CFD firefighters stood by and then provided additional manpower and relief to the firefighters working on scene. 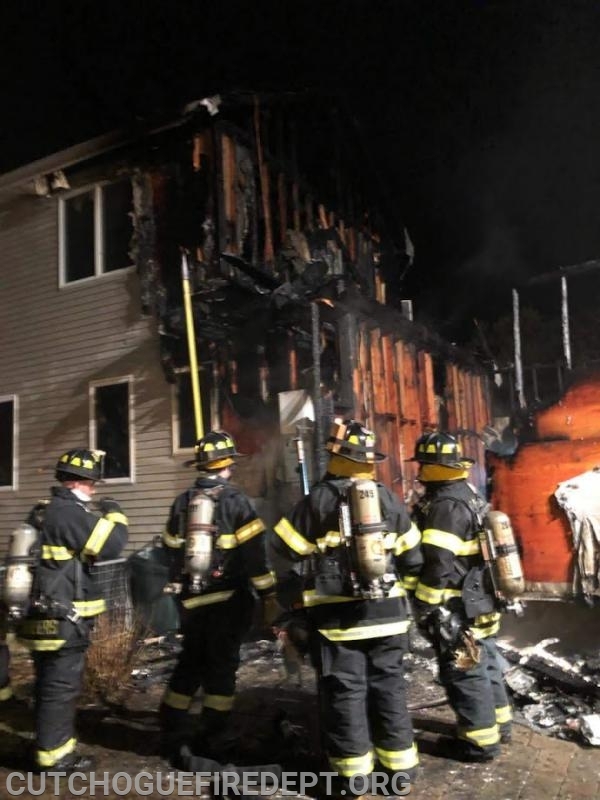 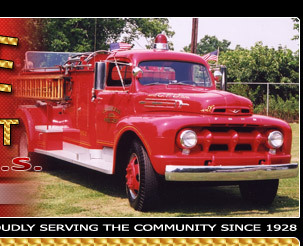 Additional mutual aid departments included Riverhead, Mattituck as well as several area ambulances. 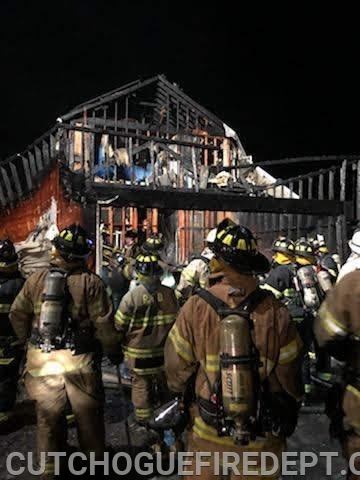 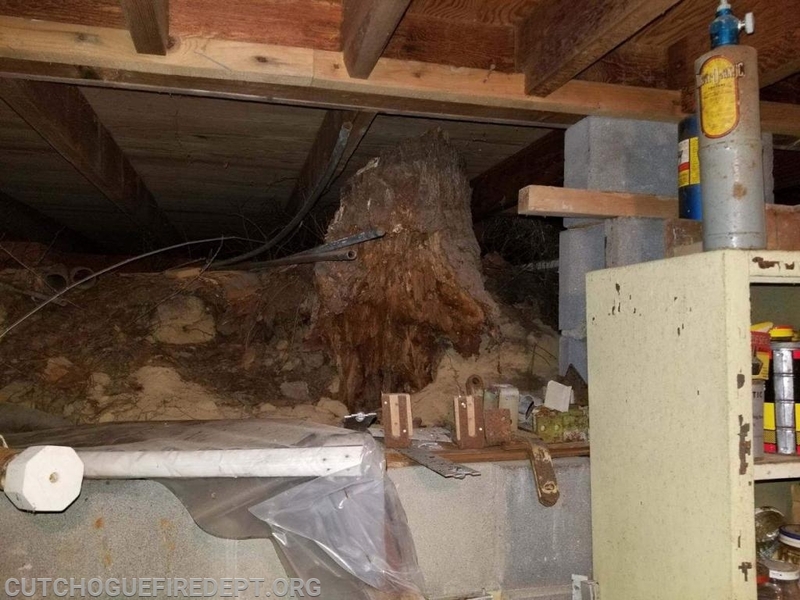 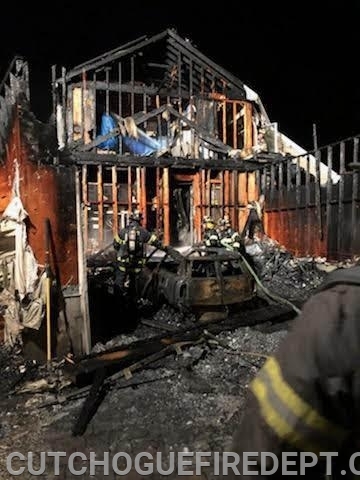 Please click on the links below to the local news stories from the fire.